. : Optics & Photonics Focus :: A cellular spy cam :. The nanowire in the center channels light into a living cell. This light can excite fluorescent markers inside the cell and otherwise be reflected back into the nanowire. 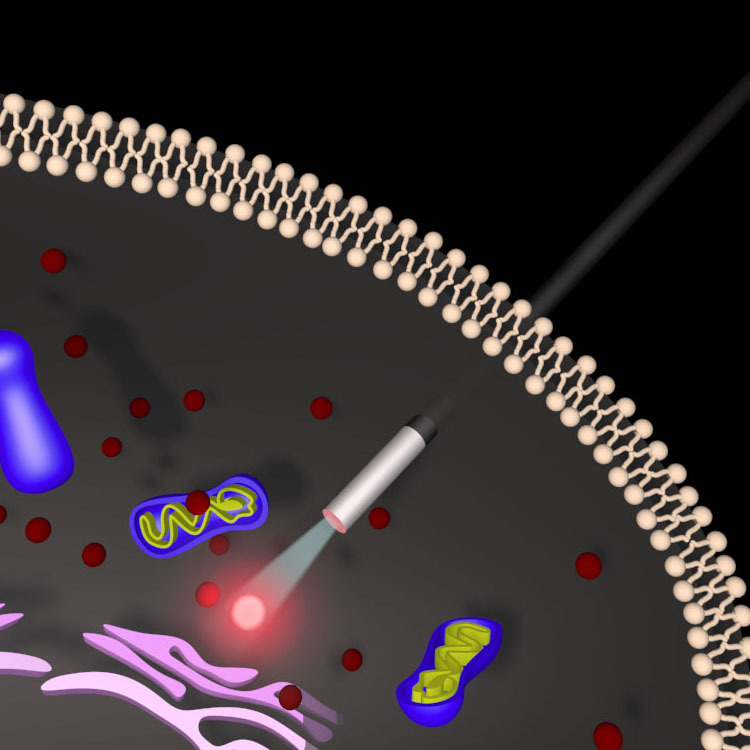 A detection system then allows us to capture the light and thus to gain insight into processes inside the living cell. Illustration: Yang group.